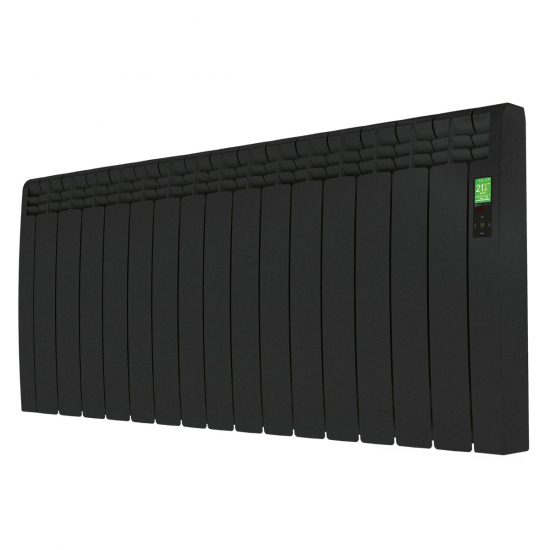 The 1600w Delta D Series electric radiator provides intelligent, app-enabled heating with a focus on energy-efficiency. Using the D Series' integrated WiFi, you can manage your heating, check consumption statistics, and control your radiators from the palm of your hand. Rointe D Series radiators revolutionise home heating with their elegant aesthetic and uniquely innovative features. Enhanced Wi-Fi controls allow the D Series to be controlled from any compatible mobile device, providing total heat management from any location. The 1600w version of the D Series is the largest in the range and has a wide 20m² heated area that will be able to provide comfortable warmth for any large, open-plan domestic interior.